Romaine lettuce has a shelf life of about a few days to more than a week. The heads have a shelf life of 7 to 10 days, while chopped or leaf lettuce products have a shelf life of 3 to 5 days. While the lettuce that may have caused the illnesses is no longer on the market, we do not know where the products were sold, or where the leafy green was grown, harvested, or processed. There is an outbreak in Canada that is linked to romaine lettuce. At least 41 people were sickened in that country, with one death. In the United States, 17 people are sick. Five of them have been hospitalized, two have developed hemolytic uremic syndrome (HUS), and one death has occurred in California. Preliminary testing on isolates from patient in both countries has shown the bacteria that caused the illness are related, meaning that there is likely a common source. Still, officials in the U.S. have not officially named romaine lettuce as the source of this outbreak. On Monday, Congresswoman Rosa DeLauro sent a letter to the Centers for Disease Control and Prevention (CDC), asking for more information about this outbreak. The information about this outbreak has not been updated by government officials since December 28, 2017. The case count by state is: California (3), Connecticut (2), Illinois (1), Indiana (1), Michigan (1), Nebraska (1), New Hampshire (2), New York (1), Ohio (1), Pennsylvania (1), Virginia (1), Vermont (1) and Washington (1). Officials are performing whole genome sequencing (WGS) on samples of bacteria, but have not yet released that information either. 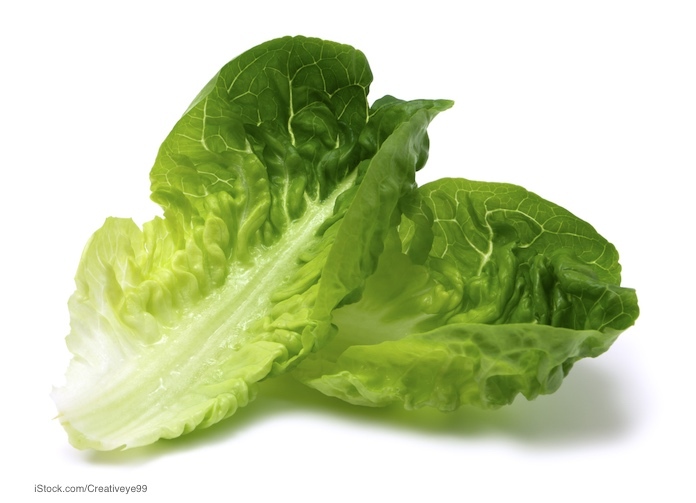 Some foodservice operations and some restaurants and grocery stores have stopped serving romaine lettuce. And Consumer Reports recommended that people avoid that leafy green until more information is available. The symptoms of an E. coli O157:H7 infection include severe and painful stomach and abdominal cramps, diarrhea that is bloody and/or watery, and mild fever. People usually get sick 3 to 5 days after they eat food that is contaminated with the pathogenic bacteria. This infection can sometimes develop into a complication called hemolytic uremic syndrome (HUS), which is a type of kidney failure. This serious condition requires medical care. Symptoms of HUS include little or no urine output, paleness, lethargy, a rash, easy bruising, and bleeding from the nose or mouth. If you or anyone you know has been experiencing the symptoms of E. coli or HUS, see a doctor as soon as possible. 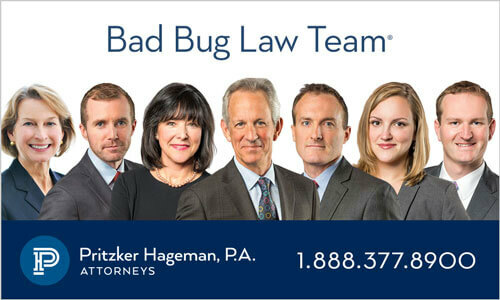 If you or a loved one have been sickened with an E. coli O157:H7 infection or HUS, especially after eating romaine lettuce, contact our experienced attorneys for help at 1-888-377-8900. The esteemed law firm of Pritzker Hageman represents and helps people who have been sickened by contaminated food. We get answers, compensation for those who have been injured, and justice through our work. Our lawyers represent people sickened with bacterial infections in personal injury and wrongful death lawsuits against retailers, grocery stores, food processors, restaurants, daycare centers, schools, and others. We also represent families of patients who have died in wrongful death cases. Attorney Fred Pritzker and his team recently won $7.5 million for young client whose kidneys failed because of hemolytic uremic syndrome after an E. coli O157:H7 infection. Please note that class action lawsuits are often not appropriate for outbreak patients because these cases are very unique.